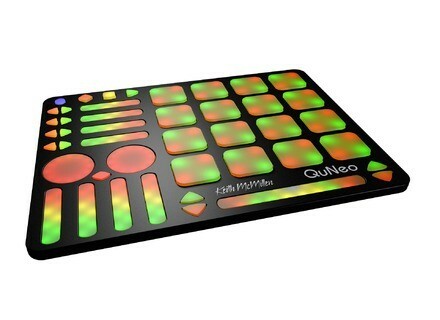 QuNeo, MIDI Control Surface for DJ from Keith McMillen Instruments. 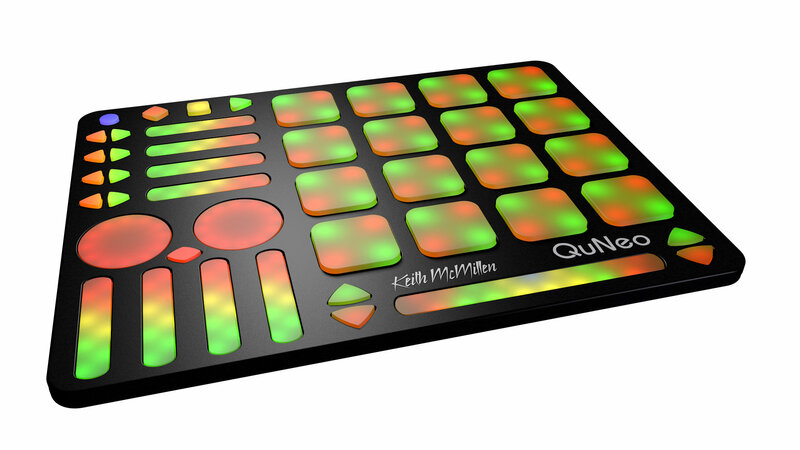 Users of Keith McMillen's Quneo and Ableton Live 8/9 with Max for Live can download a new Enhanced Note Mode for free. The new Enhanced Note Mode developed by Keith McMillen for his QuNeo MIDI controller uses two Max for Live devices to change the QuNeo preset n°1 behavior. With this new mode, you can assign the notes of 9 scales (ionian, dorian, phrygian, lydian, mixolydian, aeolian, locrian and major and minor pentatonic) to the 12 pads. Others options for controlling this new mode include an harmonizer with offset, pitch shifter, vibrato, pitch bender and octave transposition controls. And evidently, a visual feedback is available for each control. You can download the Enhanced Note Mode for free from www.keithmcmillen.com. Native Instruments unveils Traktor Kontrol Z1 The Traktor Kontrol Z2 DJ mixer now has a little brother, the Z1, with built-in sound card.